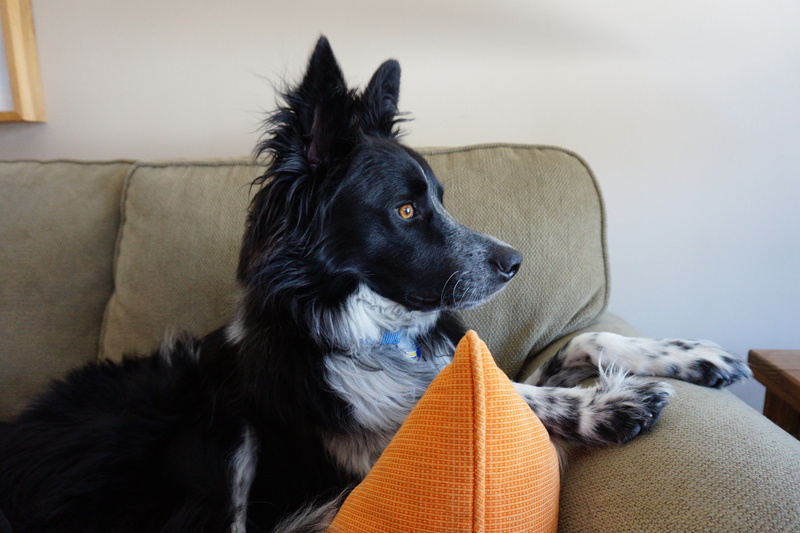 Keeping an eye out for squirrels is (almost) a full time job. My Dad can be very funny. Very early this past Tuesday morning, about 1:15 a.m. early, he jumped up out of bed and moved very quickly to the bathroom. As a smart and intuitive Border collie, I was very interested in this unusual behavior, so, I moved quickly to the bathroom, too. And I’m not quite sure that was the right move…perhaps I should have stayed in bed. My Dad was on his hands and knees barking at the toilet. Oh, another important part of the story…My Dad’s head was INSIDE the toilet while he was barking. So, I thought it was wise to bark, too, you know, sort of being the Border collie backup, providing support…wouldn’t you agree? Evidently, My Dad didn’t agree. He waved his left hand at me, which I took to mean barking support was really not necessary…at that moment…OK… And let me see if I remember how may times My Dad was angry at the toilet, something I have NEVER seen him do before, 4 more times after that, 5 more times after that? I gave My Dad the look, you know, the Border collie has a question look…”why so angry at the toilet?” Mmmmmmph…no answer. While My Dad did take me for my walks, he was moving very slowly, and he slept almost all day Tuesday. 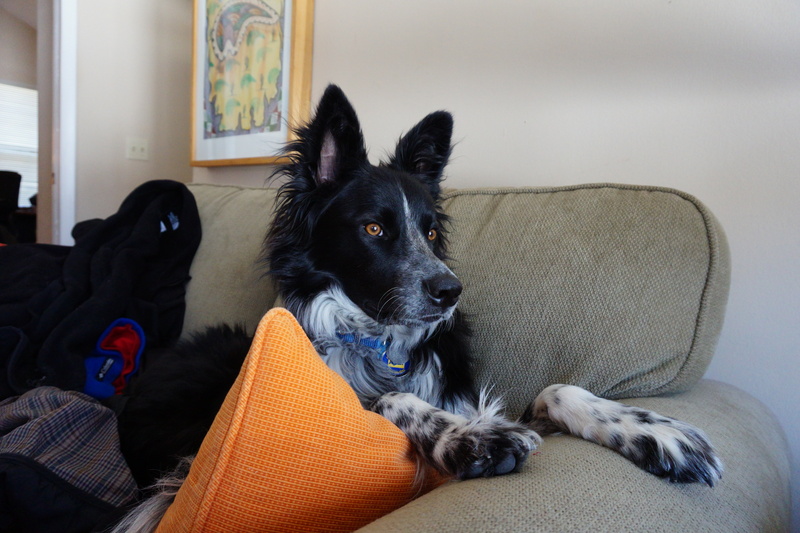 This entry was tagged border collie, border collie rescue, border collies, dog, dog behavior, dog fight, dogs and people, herding dogs, life with a dog. Bookmark the permalink. Magic, you really had me laughing there. Even if your dad wasn’t laughing your description of the situation is hilarious. Magic, you were a good boy to try and help your Dad show that toilet who’s who……and he is a super good Dad to have gotten out of bed to take you for walks when he couldn’t walk very fast. That’s true love. Tom, hope that you are 100% recovered and that you got hold of some bad food and it wasn’t anything more serious.